The Haldex system is a component in the 4WD system on Audi and Volkswagen vehicles. Volkswagen call it 4 Motion, Audi call it Quattro. All wheel drive (AWD) is another reference to this system. The system has been in use since the MK1 Audi TT. There are many versions of the system with newer vehicles receiving the latest iteration of the system. The function of the system is to provide drive to the rear wheels in pre-defended satiations like when the car electronic systems detect wheel slippage etc. It is important to service the Haldex system and the manufacture sets out some guidelines in the owner’s manuals. The early systems has a replicable filter as part of the system, on the current system used on VW and Audi vehicles there is no filter. 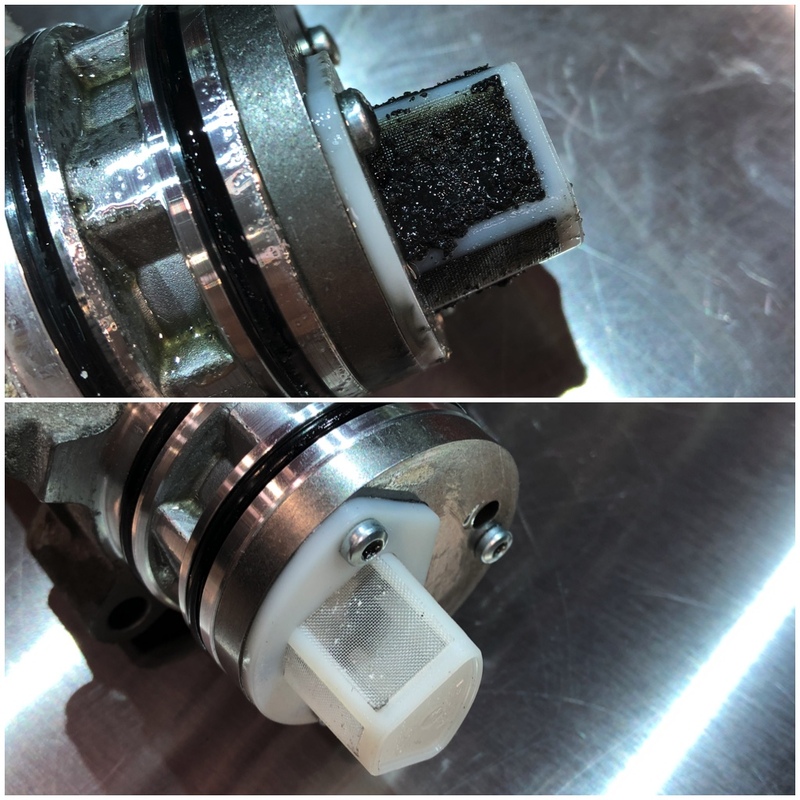 We offer a service to remove the Haldex pump and clean the gauze as preventative maintenance. You can see a before and after in the picture. We call this our performance haldex service. Contact us to book your service or discuss it further.